Actvity Summary: This eBook, which introduces kids to some of the newest amazing discoveries of the JOIDES Resolution, is free to download for everyone! For iPads and Macs: Where Wild Microbes Grow was designed specifically to fit on an iPad screen. It can be viewed through iBooks and is free to Download from iTunes here. For any computer, tablet, smartphone or interactive whiteboard: Where Wild Microbes Grow is available as a PDF that can be opened on any computer device with a PDF viewer. To download the PDF, click on the blue button above. There is also a companion children’s book about the JOIDES Resolution available titled Uncovering Earth’s Secrets. Download it for free here. 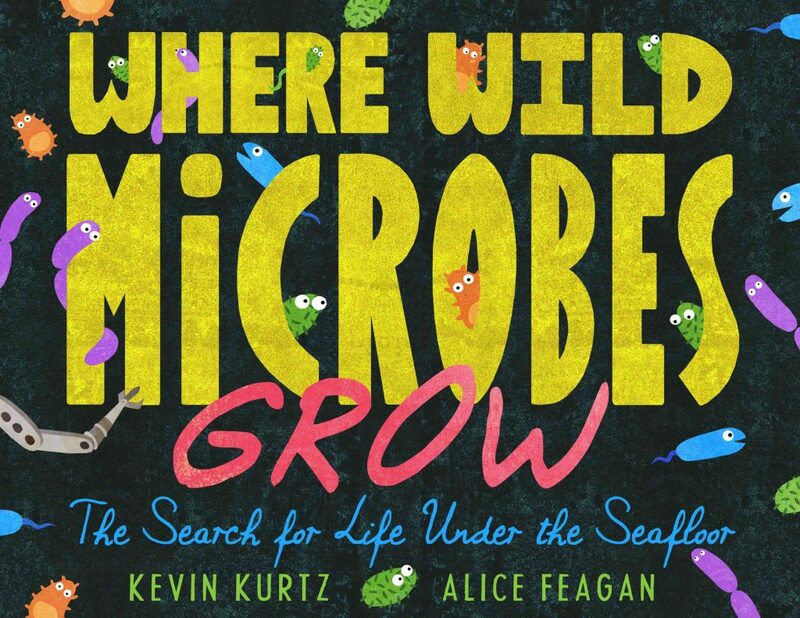 Where Wild Microbes was created by Kevin Kurtz, an award-winning children’s author, and Alice Feagan, an award-winning illustrator, through the support of C-DEBI and an NSF grant. Are you a teacher? 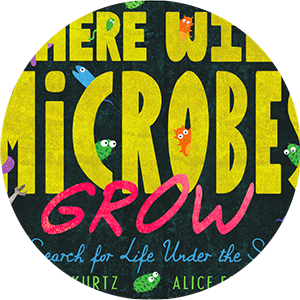 Where Wild Microbes Grow can be used to meet both language arts and science standards for all grade levels.To learn more, download the book’s standards document here. Teachers can present the eBook in a classroom on an interactive whiteboard or with a digital projector. 1. Open the PDF on the computer hooked up to the interactive white board or digital projector. 2. Click View in the top bar. 3. Click Full Screen Mode in the drop-down menu. 4. The book will be displayed so only one illustration is visible at a time. To turn to the next illustration, click the mouse on the computer or touch the interactive whiteboard. 5. To exit full screen mode, click the Esc button on your computer. Note: If you have a Mac, you can also project the interactive iPad version from your Mac using iBooks.